It is finally here! The first official trailer and it is two minutes of fun and nostaligia. Check it out below. 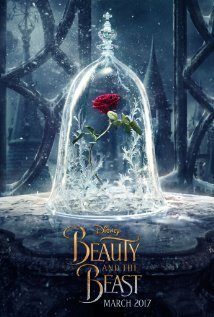 The trailer is packed with everything that we love about the animated Disney movie - the wolves, the yellow ball gown, the rose, the weakness of her father, the mirror, etc. The music in the background is so compelling that you are immediately enthused about this movie. I was on the fence about it but now I am fully engaged in this live action adaption. Emma Watson does a stunning job from what I can tell and The Beast looks good as well. This movie has my money now! It is slated to be released on March 17th, 2017. I am still against a live action of The Little Mermaid but if they are to properly pull this one off then I will keep an open mind.